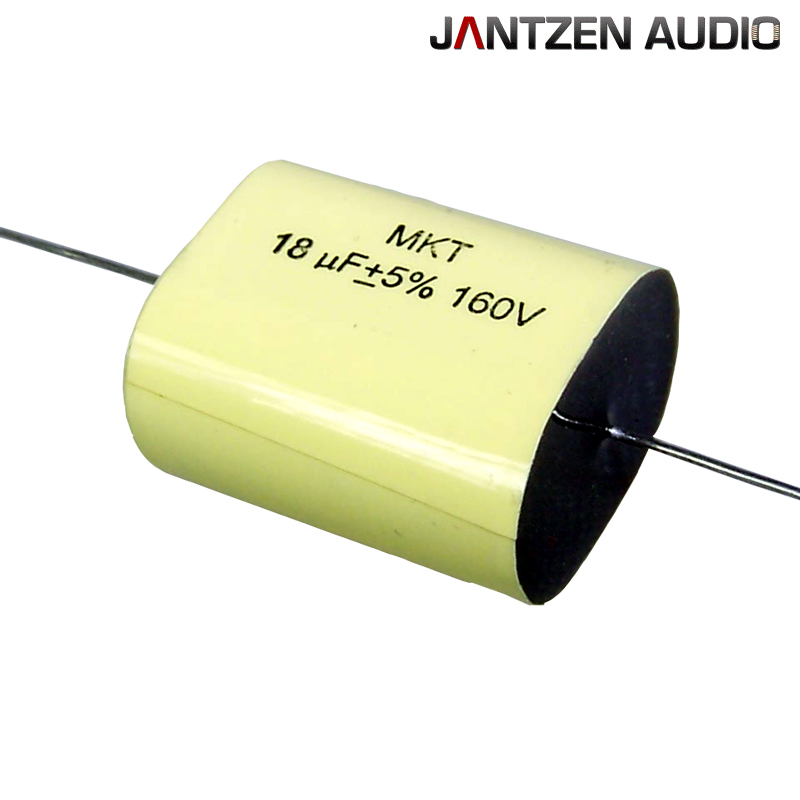 Entry level capacitors from Jantzen. These metallized Polyester film (ZnA1) are design to suit loudspeaker crossovers. The foil sides are covered with a layer of Zinc and then filled up with Polyurethane resin. Lead outs are made from tinned copper wire. They are yellow in colour and flattened for compact size and easy application. All parameters in accordance with IEC 384-1. A great sounding capacitor considering it`s low price tag. Alumen MKT are non-polarized capacitors. The signal path can be in either direction without changing the sound or performance.